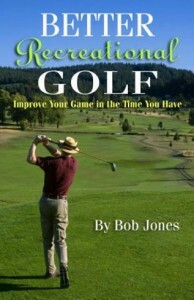 I’m going to tell you about a few key elements in how I hit the golf ball straight. Straight means it doesn’t curve. Accurate means the ball goes where I aimed it, and that’s a different post. For the ball to go straight the clubface has to be square to the club path at impact. This can be difficult to achieve, since there is so much time and so many ways for the clubface to get out of whack. 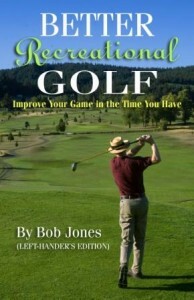 The first thing is for your hands to lead the clubhead into the ball. There I go, beating that drum again. But it’s true. If you try to hit with your trailing hand, the clubface will lead, and it is very difficult then to keep the clubface square. 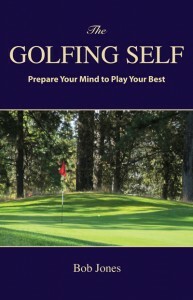 Leading the clubhead into the ball is only part of what the hands need to do. They still have to stay aligned. At address, you square up the clubface to the target and assume your grip. That fixes a relation between orientations of the trailing palm and the clubface. That relation stays the same throughout the swing. They will always face the same direction, unless your hands slip. Where that palm goes, the clubface goes. The trick is for the palm not to go anywhere, that is, turn. Pick up a club and take your grip. Notice the FEELING of your trailing palm being oriented in a certain direction. The ball will go straight if you return that palm to impact with the same feeling of orientation it had at address. Read that paragraph one more time to make sure you understood what I said. Hold the club so it is pointing straight away from you, parallel to the ground. Now rotate the club very slightly clockwise. Do you feel your palm is oriented in a different direction? Go back to neutral and rotate the club very slightly counter-clockwise. Again, you will notice that your palm is now oriented in a different direction. Of course, the palm IS oriented in a different direction each time you rotate the club, but do you FEEL that difference in your palm? That is the important thing. What we want is for the feeling in your trailing palm at impact, your neutral feeling, to be the same as it was at address. The best way to start getting this into your swing is with slow half swings, back and forth. Do not force your palm to stay oriented or guide it, rather let it stay oriented. It will help if you think of your hands merging into one unit, instead of holding the club with two different hands. I go into this point in more detail in Six Fundamentals, number Two. An earlier post gives you a different way of feeling your trailing hand, but with the same concept of the address feeling not changing. Hitting the ball straight (without curvature) isn’t that hard to do if you play attention to these details.